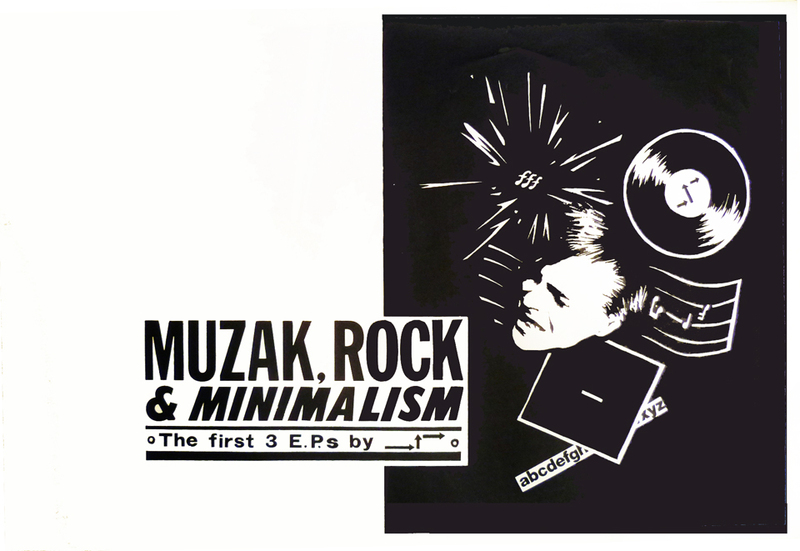 Muzak Rock & Minimalism is compilation of the first 3 → ↑ → EPs released between 1979 and 1980. 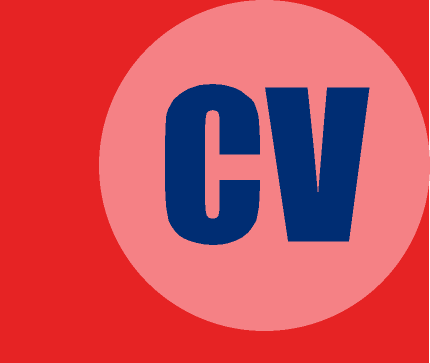 Inoffensive. Subtle, restrained and tasteful. 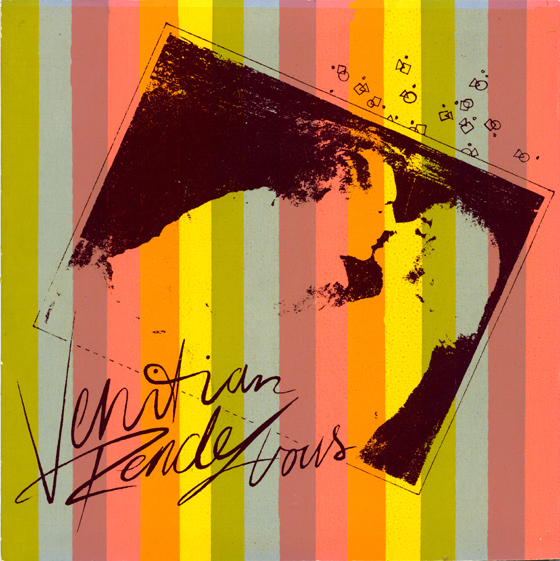 Venitian Rendezvous is a delightful mixture and the certain "je ne sais quoi". A wafting tonal wallpaper of neatly designed music that stylistically acknowledges the most pleasurable bane of our existence: Muzak. This truly s music born of the well-mannered synthesizer. That beat. That feeling. That powerful surge down an historical tunnel, hollowed out by the Rock tradition. 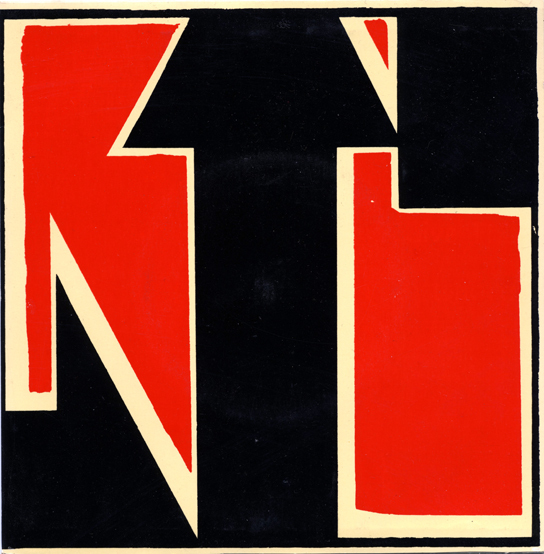 Stripped to its essence, it's all here: pounding bass, relentless drums, soaring guitar, riveting sax. An impassive presentation os the guts of Rock - no frills, no spills. 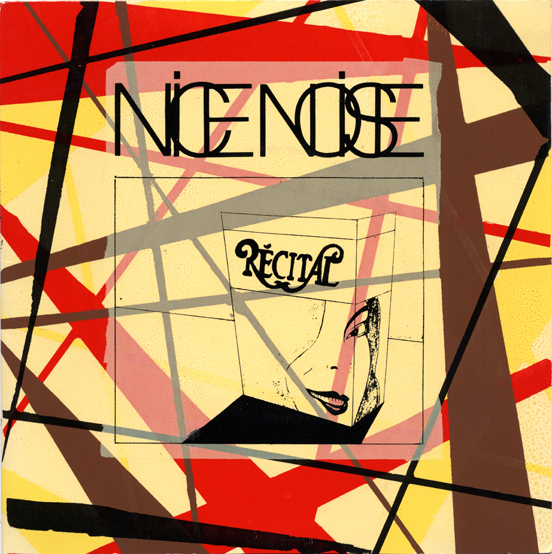 Nice Noise is the Rock of Rock Rock Music. Freeze frame. Slow zoom. Extreme close-up. Experience the pleasure of the pleasure of listening. 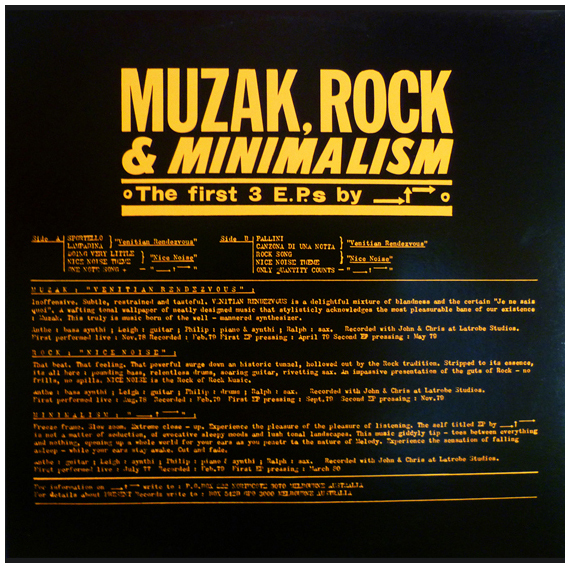 The self-titled EP by → ↑ → (aka Minimalism) is not a matter of seduction, of evocative sleepy moods and lush tonal landscapes. This music giddily tip-toes between everything and nothing, opening up a whole world for your ears as you penetrate the nature of Melody. Experience the sensation of falling asleep - while your ears stay wide awake. Cut and fade. 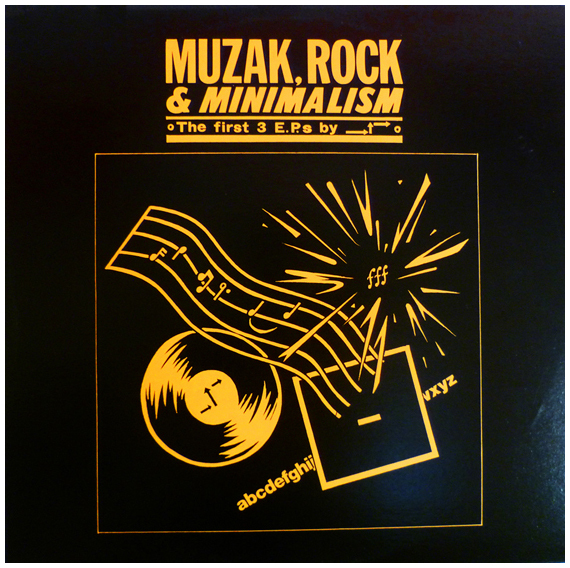 The LP is sequenced so that each side runs the original sides of the 7" in the sequence of Muzak (the Venitian Rendezvous EP), Rock (the Nice Noise EP) and Minimalism (the self-titled → ↑ → EP).